In my case, blower motor run if I select the maximum speed only from the climate control, the maximum speed drive by relay (bypass), and the others speed controlled by either transistor (many variable speed) or coils system (control 4 speed only), that’s mean, the motor didn’t get the voltage supply from transistor/coils, the main suspect is either transistor/coils or before transistor/coils, my blower motor drive by transistor (mostly modern car use transistor to control the motor speed), enough for the theory, time to troubleshoot! So, where is the location of transistor? 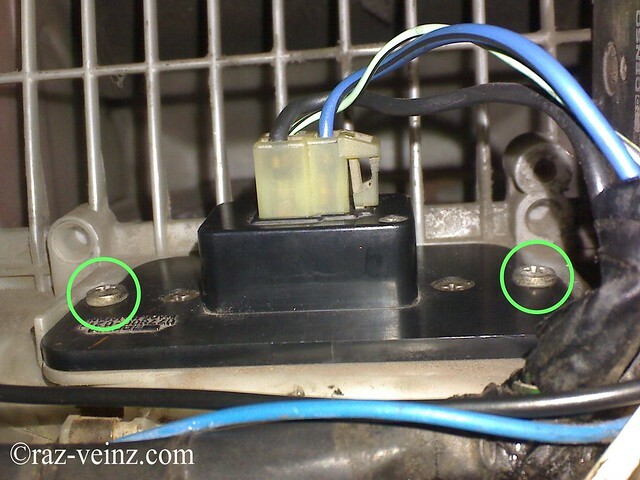 Need to remove the glove box first (very easy task), here the suspect…unplug the socket, then remove two screw (green circle). This is of course you could get the new one, the whole set, but there a pricey…or maybe not available at the local shop, that why the term of DIY is exist. and others two at the back. The last one inside the case (green circle). 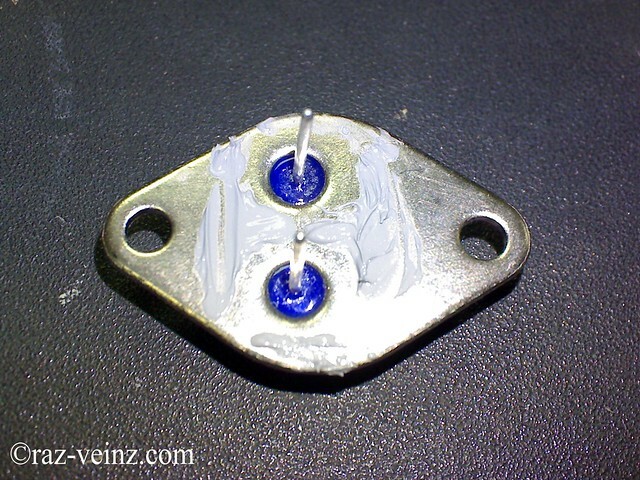 To remove thermo fuse, desoldering the blue circle terminal, to remove transistor, desoldering the red circle terminals. Wait! Don’t desoldering it yet, until we know the cause. 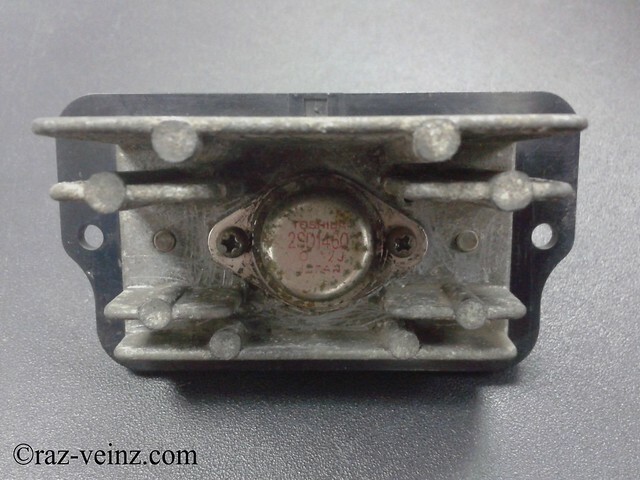 This is the main component of blower motor transistor package, three of them, capacitor, thermo fuse and transistor. 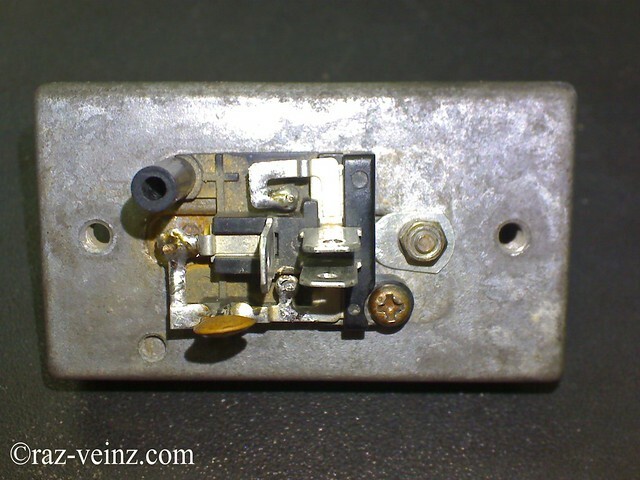 First to test is thermo fuse, firstly, detach one of the terminal from circuit (I prefer from the screw side). 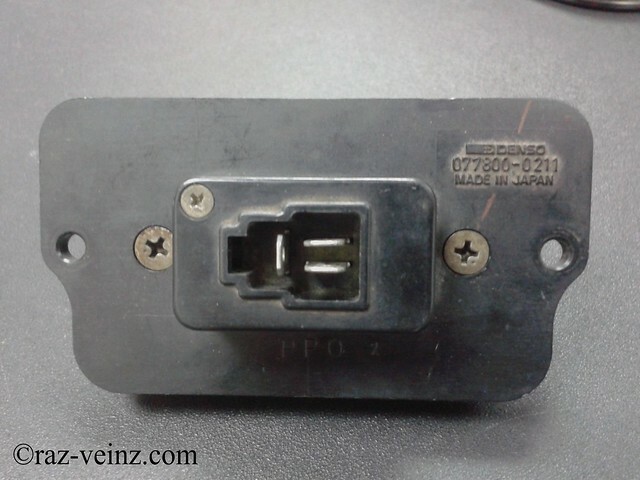 Check the continuity using multimeter or other method. In my case, there is no continuity, so that mean, this is one of the cause and the more important is, cheap replacement . 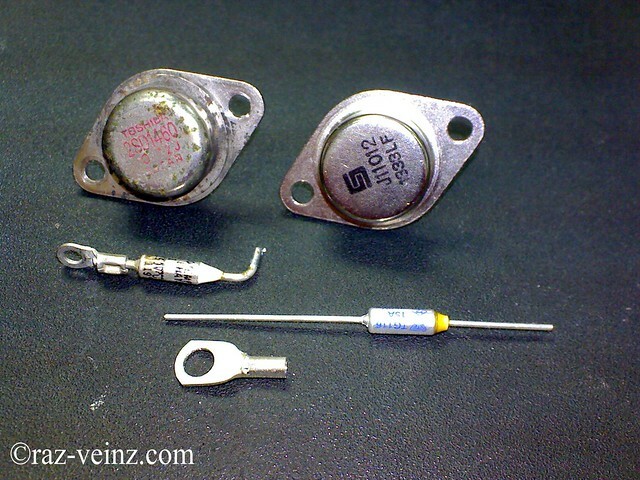 The complicated thing is to test the transistor. 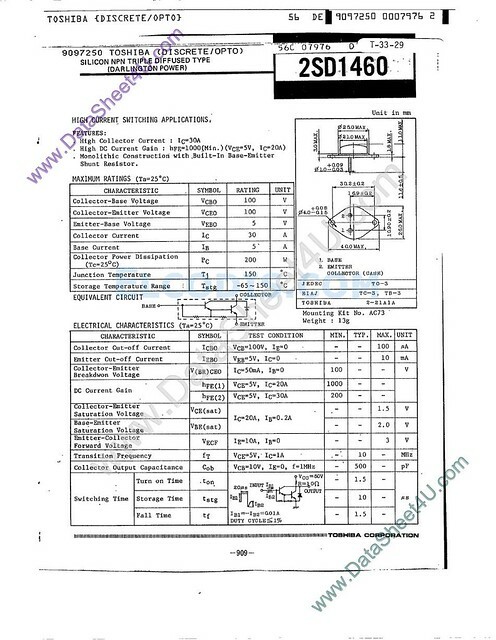 To test the transistor, first we need the datasheet, this is the model of original transistor, brand : Toshiba, ID : 2SD1460, type : silicon NPN triple diffused type. 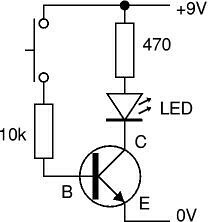 And need to know a simple operation of transistor (you can ask uncle google). 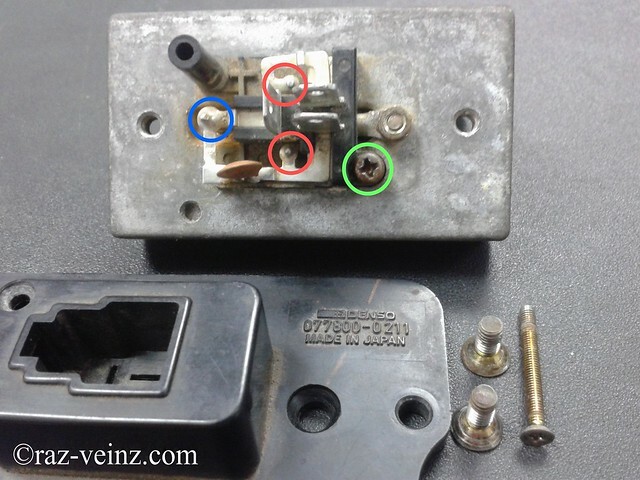 Make sure to identify the base (B), emitter (E) and collector (C) point. 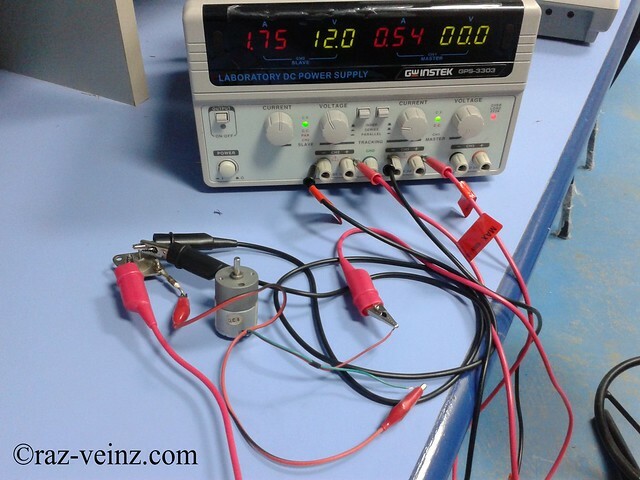 This is a simple test I make using DC motor as output. The old vs the new. 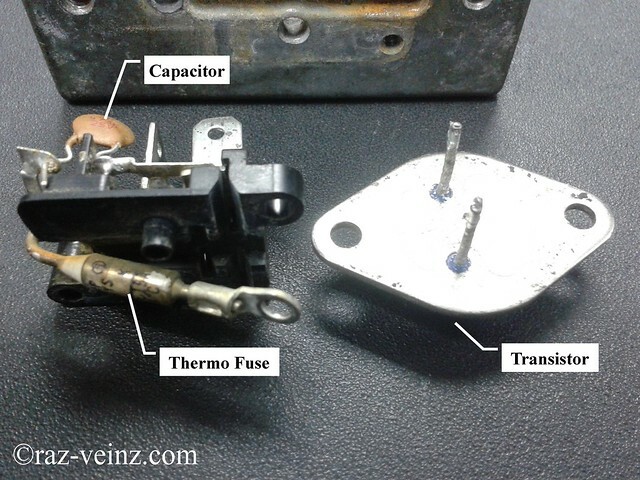 Used equivalent transistor and thermo fuse. Put some thermal compound to terminate air gap between transistor and heat sink, for more effective heat transfer.